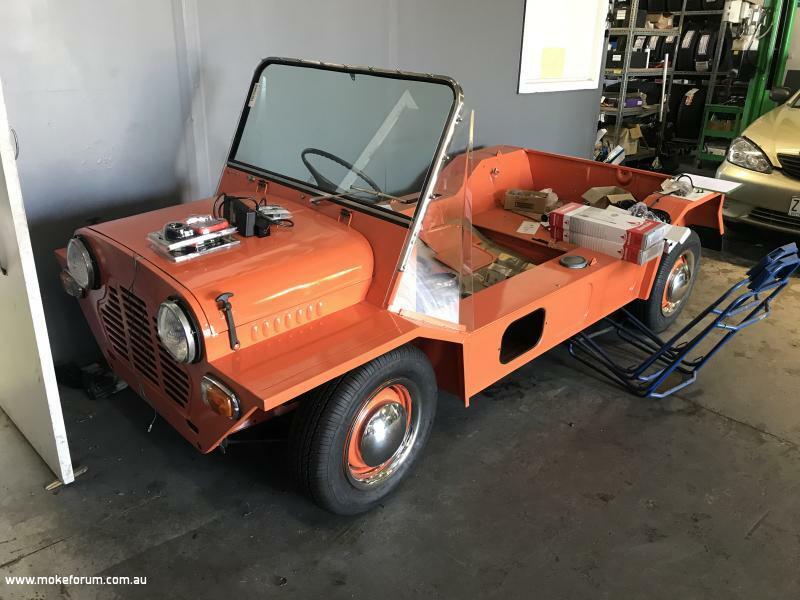 in today's issue of Car Guide there is an article on a private collection car museum in Thailand and looking down the row with minis there is a red Moke showing a bit of front guard. And if you want to get a feel for how big the collection is try this link, https://www.team-bhp.com/forum/beyond-borders/177945-pics-jesada-technik-museum-bangkok-thailand.html And that doesn't show the aircraft and buses that are outside. 1/4 pint needed to get a roadworthy on his new (used) Triton and the Mechanic used to hang around in the same groups as my Kids when they were all at high school and knew I was into Mokes. I said to him that the front suspension was collapsed and he told me that one day it just went BANG and dropped , so I also gave him another front trumpet, guaranteed this is what had collapsed. looks like he got a Choke windscreen frame and chopped it to fit. Don't know Terry, seems he hasn't accessed some of the info we have available to us here. I get the feeling and think he is getting ready to move onto his next project as well. when i first got involved with Mokes back in 1990 there was a few stories going around about Lou Richards(footy celeb) having a moke and until the other day i had never seen it, and even now it is just a glimpse. 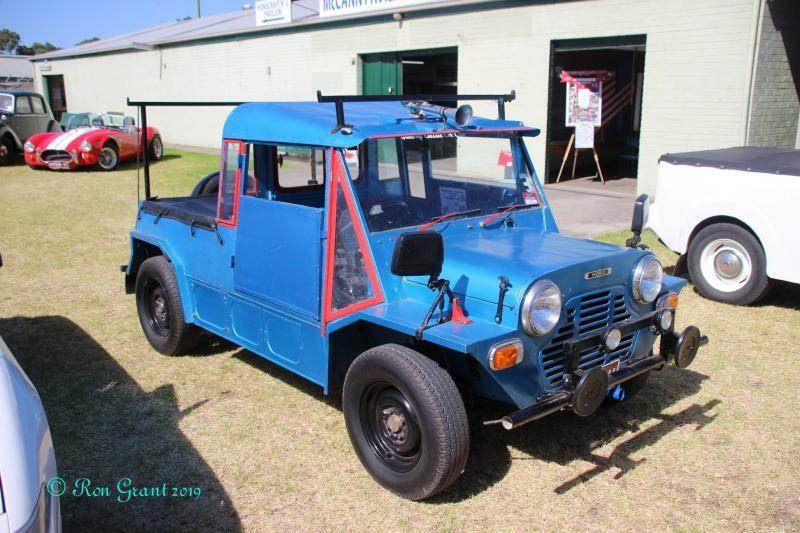 this Moke was on display at the Geelong Truck Show 2019. It looks somewhat familiar, I am pretty sure it has been at an IMD or two. Photo by Ron Grant, found on facebook used without permission. Cant post picture as Forum does not recognize photos taken on an iPhone.. ( JPG style attachment).. tried many times to upload as per instructions on the forum. No luck . Is there an issue with pictures in JPG format? I too have trouble uploading pics now, i have no idea what changed, i use the same camera, i even tried resizing but no luck. Spotted a few Mokes lately, 17 of them in various stages of decay/decline at the one place, weird quite a few have hard tops fitted. 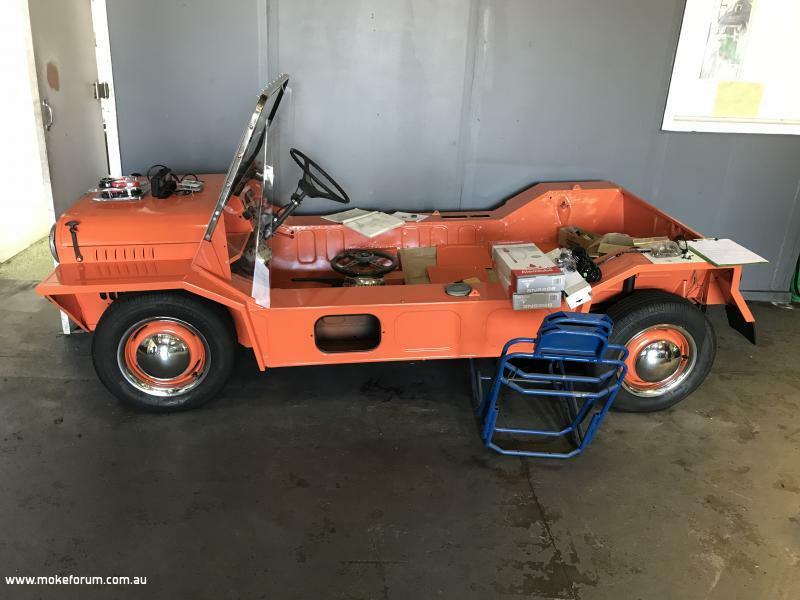 Was at a swap meet yesterday and a guy there had a rolling shell "race" moke, well ex race is probably a better description. It seemed to be completely rust free having spent most/all of its life as a race car BUT it certainly hasn't escaped Nik Blackhursts favorite tool, the good old angle grinder. All the good race bits had been removed which the owner has replaced with std parts. Strange though it has the removable grill but little wheels, could that be right? Maybe they use the small wheels to lower the C of G for racing? 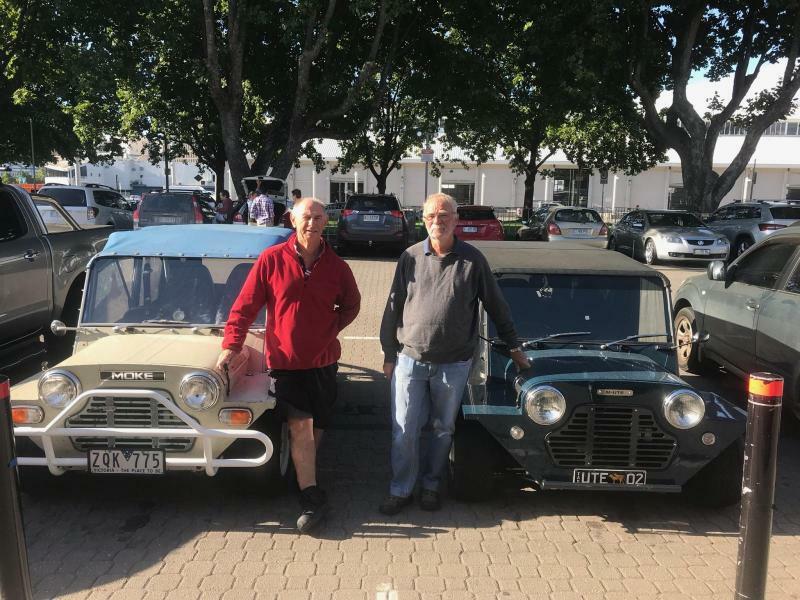 this is a couple of Moke Owners spotted lurking around the carpark in Hobart's Salamanca Market last weekend. Saw this one in Dunkeld. It had a nudge bar on the back as well as the front. 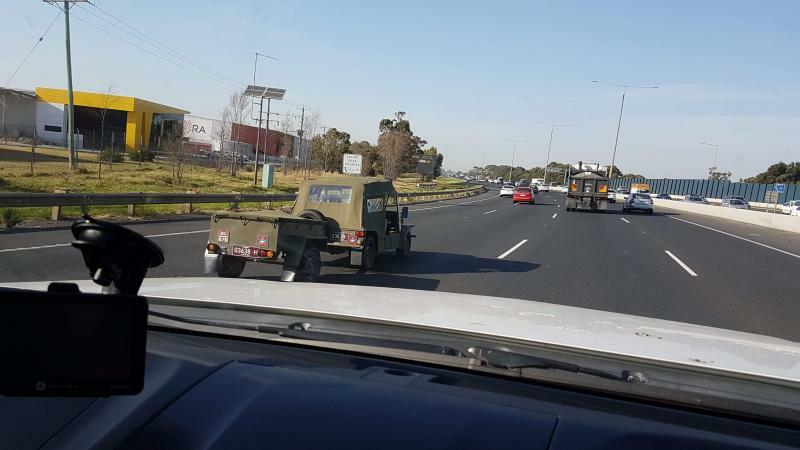 If this works spotted this combo on the Geelong freeway today. Most likely. He is the only one with a Moke and Trailer in this part of the world. I think he was going to Avalon Air Show, saw a photo of his moke there and a yellow one.